Inadmissibility Waivers | Chicago Immigration Lawyer | Bankruptcy Attorney | Personal Injury Law Firm | Ebere N. Ekechukwu & Associates, P.C. A foreign national seeking to enter the United States or living in the United States may be deemed inadmissible by the Consulate, the Customs and Border Protection (CBP) or the United States Citizenship and Immigration Services (USCIS). If the foreign national is deemed inadmissible, he or she cannot enter the United States or adjust their status without a waiver of the inadmissibility or a determination that the inadmissibility charge was made in error. Foreign nationals may be inadmissible to the United States for any one of the grounds for excludability listed below. Communicable diseases of public health significance. This currently includes Class A Tuberculosis, Chancroid, Gonorrhea, Granuloma inguinale, Lymphogranuloma venereum, Syphilis, Leprosy or any other communicable disease as determined by the U.S. Secretary of Health and Human Services. Two or more summary convictions not including Driving Under the Influence -DUI’s, Dangerous Driving or General Assault, or 1 Indictable conviction. Persons who enter the U.S. without being admitted or paroled at a port of entry (EWI – Entry Without Inspection) or who overstay a valid visa begin to accrue unlawful presence after the illegal entry, or the period of authorized stay expires. Persons who knowingly or willfully made misrepresentations or committed fraud in order to obtain an immigration benefit. Persons previously deported or given expedited removal. Persons unlawfully present in the United States for an aggregate period of one (1) year who have exited the United States and re-entered without inspection (EWI) are not eligible to waive their unlawful presence. An alien who, in the opinion of a consular officer at the time of the application for a visa, or the Attorney General at the time of the application for admission or adjustment of status, is likely to become a public charge at any time. An alien seeking entry for the purpose of seeking skilled or unskilled labor is excludable in the absence of an approved labor certification. This ground of exclusion applies to the second and third employment-based preference categories. Unqualified Physicians: Certain foreign physicians are excludable as immigrants unless they have successfully completed the necessary qualifying examinations. are authentic and in the case of a license, unencumbered. if a majority of States licensing the profession in which the alien intends to work recognizes a test predicting the success on the profession’s licensing or certifying examination, the alien has passed such a test or examination. whose visa has been issued without compliance, is excludable. is not in possession of a valid nonimmigrant visa or border crossing identification card at the time of application for admission is excludable. Practicing Polygamists – any immigrant who is coming to the United States to practice polygamy. Guardians accompanying helpless aliens – where an alien who has been ordered excluded is certified to be helpless from sickness or mental or physical disability or infancy, any accompanying alien whose protection or guardianship is required by the excluded alien is also excludable. International child abductors and relatives supporting abductors – any alien who detains, retains or withholds custody of a child outside the United States, after entry of an United States court order granting custody of the child to another, is excludable until the child is surrendered to the person granted custody by that order. However, this ground of exclusion does not apply so long as the child is located in a foreign state that is a party to the Hague Convention on the Civil Aspects of International Child Abduction. Aliens Who Have Unlawfully Voted – any alien who has unlawfully voted in violation of any Federal, State or local constitutional provision, statute, ordinance, or regulation is excludable. Former Citizens who Renounced Citizenship to Avoid United States Taxation -any alien who is a former citizen of the United States who officially renounces United States citizenship for the purpose of avoiding United States taxation is excludable. This ground of exclusion is applicable to individuals who renounce United States citizenship on or after September 30, 1996. NO WAIVER is available to an alien who has falsely claimed that they are a U.S. citizen to obtain a benefit under the Immigration and Nationality Act, Federal or State law. As a result, these individuals are permanently inadmissible and cannot file for a Waiver of Inadmissibility. Draft Evaders: Any person who has departed from or remained outside the United States to avoid or evade training or service in the armed forces in time of war or period declared by the president to be a national emergency is excludable, except that this subparagraph shall not apply to an alien who at the time of such departure was a nonimmigrant and who is seeking to reenter the United States as a nonimmigrant. Many foreign nationals who are faced with an inadmissibility determination believe that they will never be able to obtain a waiver or enter the United States again. There is good news. The foreign national can apply and be eligible for waiver of the ground(s) of inadmissibility. 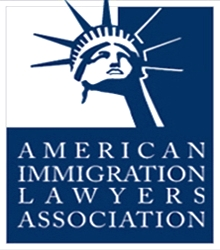 Usually, there are two types of waivers that apply to each ground of inadmissibility: one for immigrants – those trying to obtain an immigrant visa or green card and one for nonimmigrants – those trying to obtain or enter with a temporary visa such as a B-2 tourist visa, F1 student visa, H-1B work visa or any other visa. An Application for Waiver of Grounds of Inadmissibility is an application for legal entry to the United States made by a foreign national who is otherwise inadmissible on one or more grounds. The application is submitted to the consular office, USCIS or immigration court considering the foreign national’s immigrant visa or adjustment of status application. Do you fall under any of the several circumstances under which a foreign national and immigration violators may apply for a Waiver of Grounds of Inadmissibility? Contact the Law Office of EBERE N. EKECHUKWU & ASSOCIATES, P.C. today at (312) 362-9844 and we will explain the law, rules, procedures, your eligibility to apply for waiver of inadmissibility and assist you in putting together the necessary paperwork and filing it either with the Consulate overseas, USCIS, or the Immigration Court.